Singapore is a city where you can find great fun and endless adventure for the entire family. There is a wealth of activities for children of all ages, both indoors and out. On a rainy day, visit one of the many museums, all of which have activities to engage the young mind. 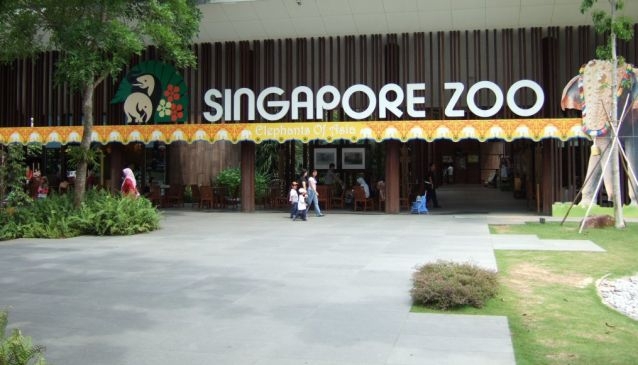 When the sun comes out - or at least when it stops raining - be sure to explore the Singapore Zoo, the Jurong Bird Park or the Botanic Gardens. 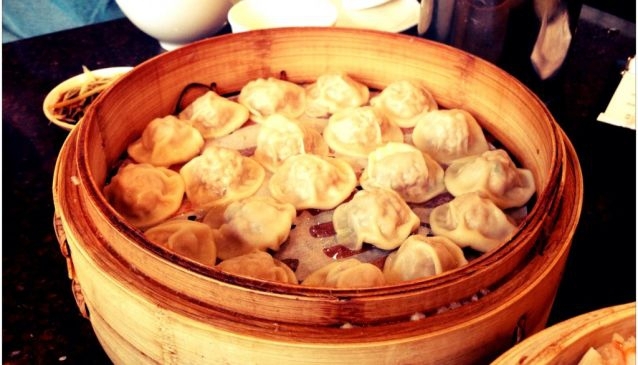 Of course, a trip to Singapore would not be complete without trying some of the local cuisine, especially child-friendly dumplings found in many Chinese restaurants. There's countless things to do in Singapore. This aquarium showcases 2,500 marine animals from all over the world. Highlights include a petting area where one may touch and feed rays, sharks and other marine life. The star feature is the circular moving walkway, taking visitors through a tunnel of sea creatures including larger rays, sharks, parrotfish, turtles and more. This is a paradise for children who want to spend hours on the moving walkway and observe the colourful and impressive animals. The shop has a lot of good educational toys, books and games on display. Housed in a lovely old colonial building, this museum has a History Gallery with audio guides for children aged 7+. The guides are designed to capture young imaginations through colourful stories and entertaining anecdotes. There are also interactive exhibits in the Living Galleries on the food and fashion of Singapore. Be prepared, this is one museum your children may not want to leave. There is also a café with child-friendly meals if you need a break from the exhibits. Admission: $10 for adults; $5 for children (6 to 18), seniors and students. 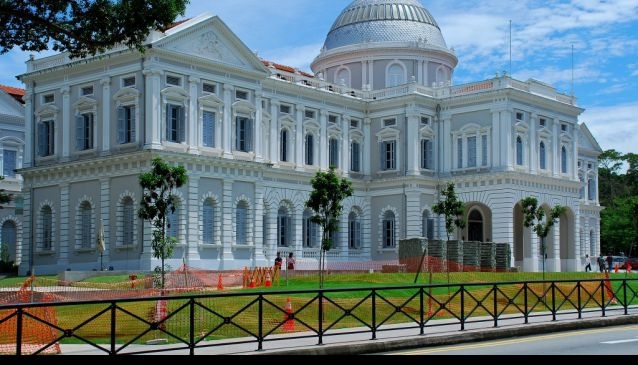 Opening hours: 10am to 6pm for Singapore History Gallery; 10am to 8pm for Singapore Living Galleries. 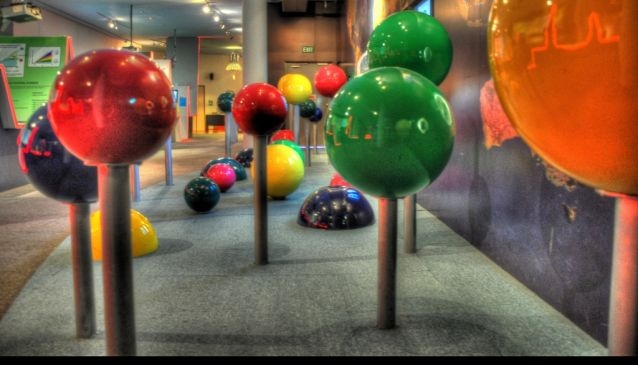 Science comes alive at this museum, which features interactive displays housed in 14 galleries. With 20,000 square metres of indoor and outdoor space, there is something here to engage every member of the family. 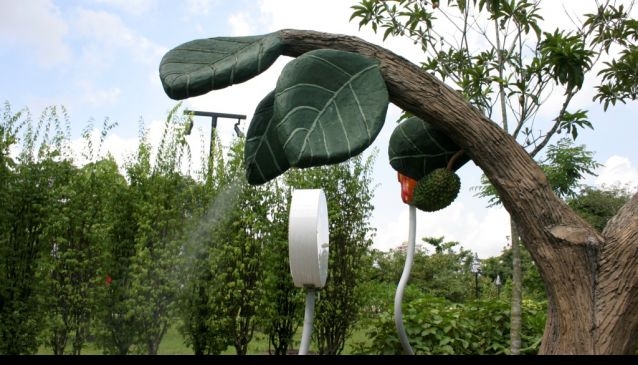 You can easily spend an hour in the outdoor Kinetic Garden, which features a pendulum swing and life-size scales to measure your weight. Indoors, it is best to focus on two or three galleries rather than try to see everything in one visit. The Mind’s Eye and The Solar System are good places to start. There is also an outdoor water game area with lots of fun hands-on water experiments that children love, so bring a swimsuit and a towel along. Warning: the only restaurant available on the premises is an overcrowded McDonald’s. Admission: $9 for adults; $5 for children (3 – 16) and $6 for seniors. This lovely park, located within the Singapore Botanic Gardens, is a place where play and exploration combine to create a wonderful learning environment for children. The Fantastic Forest offers a tree house and logs for climbing, while a nearby interactive exhibit introduces children to the concept and importance of photosynthesis. A hands-on planting area is great for getting little hands dirty, and the small water park, complete with watering cans, provides a place where children can cool off following an afternoon with nature. Admission: Admission to the Jacob Ballas Children's Garden is free and open to youngsters up to 12 years old. All children must be accompanied by an adult (and all adults must be accompanied by children!). No bikes, roller-skates or skateboards are allowed but can be deposited at the visitor reception area. 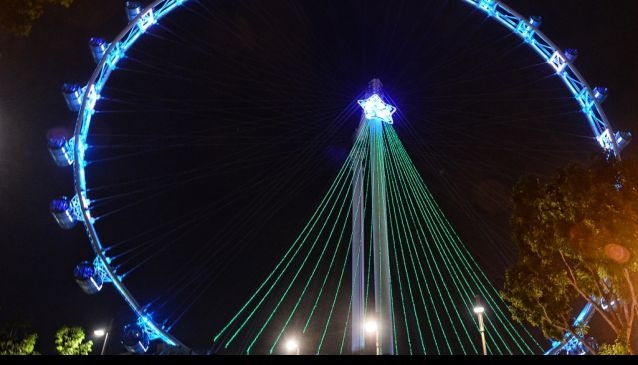 The best view in town is from this revolving observation wheel that soars 165 metres into the sky and provides a bird’s eye view of Singapore. It takes half an hour to complete the circuit in one of the Flyer’s large pods. 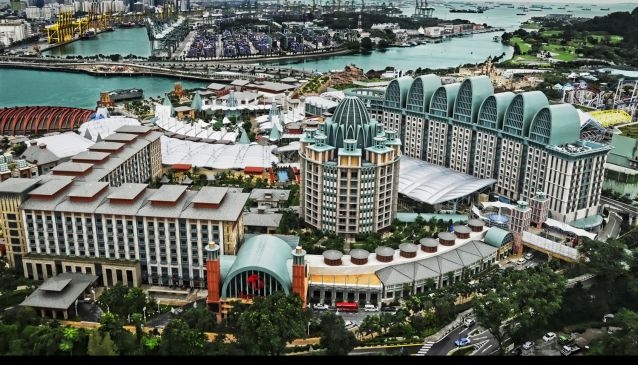 Enjoy views of the harbour, Singapore River, Marina Bay Sands, the Fullerton Hotel and much more. On a clear day, you might get a must-see view all the way to Malaysia and the islands of Indonesia. Admission: $29.50 for adults (13 years or older); $20.65 for children (3 to 12); and $23.60 for seniors. 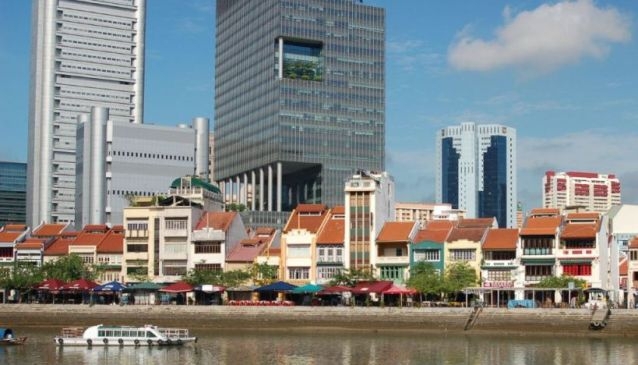 Sit back, relax and enjoy a lesson on Singapore’s history as you ride on an old-fashioned bumboat, the style of boat used to convey cargo to warehouses years ago. 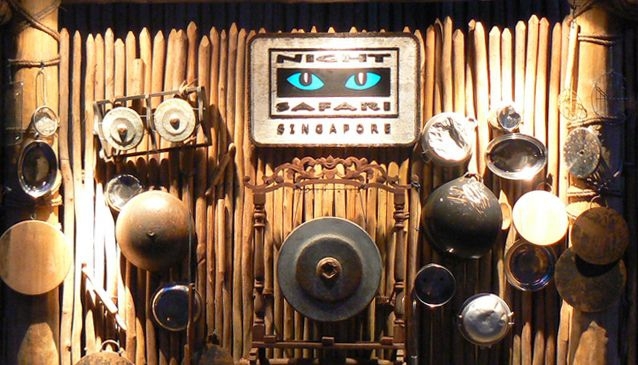 A video introduces historical landmarks and tells the tale of Singapore’s colourful past. Don’t miss the sculpture of children jumping into the river near the Fullerton Hotel, reflecting days of old. The bumboat also provides the best place to photograph the city’s Merlion fountain and unique Marina Bay buildings. Admission: $22 for adults and $12 for children (60 minute cruise); $17 for adults and $10 for children (40 minute cruise). Opening hours: 9am to 10.30pm daily. Boats leave at 15 minute intervals. Address: Embarcation points at Raffles Landing Site, Fullerton Hotel, Boat Quay (between shophouse 58 and 60, Central@Clarke Quay, Merchant Loop, Liang Court, Robertson Quay, Grand Copthorne Waterfront and Merlion Park. You’ll never forget a trip to this world-class zoological park. As you enter, grab a map, review the animal feeding times and shows, and build your day around these engaging events. Highlights include white tigers, pygmy hippos and a walkabout in the Australian Outback. Don’t forget to look up and see apes swinging from vine to vine overhead. When your little ones get tired of viewing the animals, take them to the Rainforest Kidzworld, which features a carousel, pony ride, and refreshing water park. There are a few restaurants in the park that offer various types of cuisine at very reasonable prices. You can also check out special events such as “Jungle Breakfast” and “Lunch with Lions” which are available daily upon reservation for a limited number of participants. Admission: $20 for adults; $13 for children (3 – 12); and $10 for seniors. Basic ticket does not include tram. Experience animals at their most lively – at night! You can walk on well-lit trails or ride a tram to observe wildlife from all over the world. Don’t miss the tigers in the Indo-Malayan region, hyenas in the Indian Sub-Continent, and the Creatures of the Night show. Check your map for show times and other cultural attractions. This is quite an adventurous outing - especially when exploring the park by feet - and a great experience for both kids and adults. Admission: $32 for adults and $21 for children (3 - 12). Ticket includes tram. Here you’ll see over 5,000 birds, many of which fly freely around the park. Check your map for bird feeding and show times. 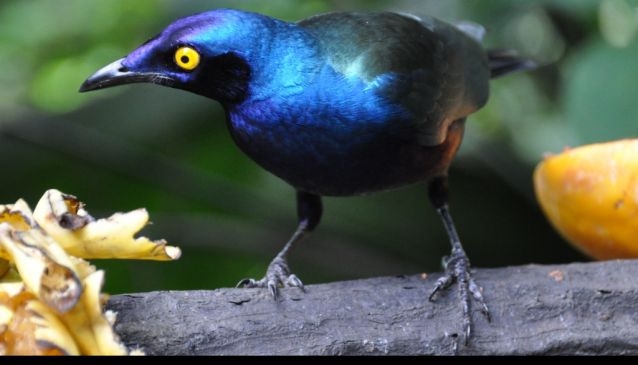 Birds n Buddies is a definite must-see event, while the Lory Loft allows up-close encounters with a colourful variety of birds that will eat from your hand. The African Waterfall Aviary provides a unique view of our diverse feathered friends from this distant continent. Visit Birdz of Play for a water park and playground. Admission: $18 for adults; $12 for children (3 – 12). Additional cost for Panorail.